In a neighborhood in Kansas City, Missouri, blighted by crime and lack of economic opportunity, a transformation is taking place. A vacant lot less than an acre in size has been cleared and a greenhouse has been built that will house a self-sustaining aquaponics system. Already growing on the property are basil, thyme, parsley, a variety of leafy greens as well as tomatoes, onions, and peppers – all using home compost and with no added chemicals. 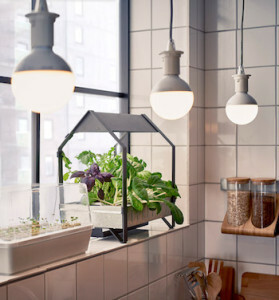 IKEA is introducing hydroponic indoor gardening kits for the urban dweller. Home gardening continues to grow in popularity across the country in tow with the rise of local food movement. According to the National Gardening Association, 35% of all households in America, or 42 million households, are growing food at home or in a community garden, an increase of over 17% in the past five years. However, with 63% of the American population living in cities that comprise only 3.5% of the country’s land area, many urban apartment dwellers with growing proclivities often lack access to land on which to plant even a micro garden, and have difficulty obtaining plots in crowded and oversubscribed community gardens. Fortunately, the growing challenges of apartment-dwellers haven’t gone unnoticed by urban gardening entrepreneurs, who have created a number of innovative growing systems to help city dwellers and micro-gardeners in almost any location grow their own produce. Here’s a list of five urban home growing systems worth checking out. 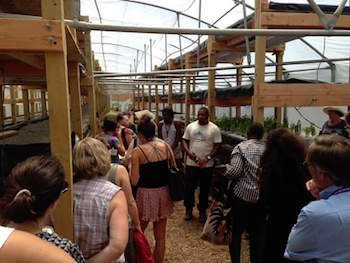 A commercial aquaponics operation that opened last October in Chicago’s Humboldt Park neighborhood is among the latest additions to a thriving urban agriculture tapestry in the Windy City. 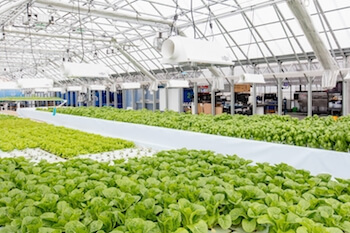 Metropolitan Farms, operated by founder and CEO Benjamin Kant and his business partner, Eugene Shockey Funke, produces kale, lettuce, herbs and tilapia. 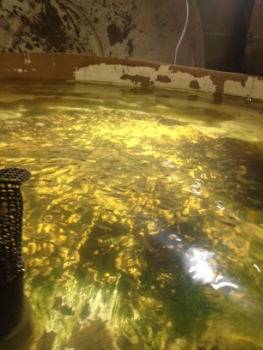 Heads of lettuce gain their sustenance through aquaponics channels at Future Foods Farms in Brea. Photo courtesy Barbie Wheatley/Future Foods Farms. In a county named for its former abundance of orange groves, chef and farmer Adam Navidi is on the forefront of redefining local food and agriculture through his restaurant, farm, and catering business. 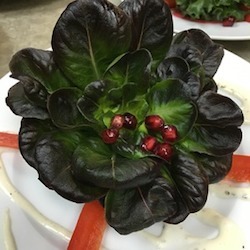 Navidi is executive chef of Oceans & Earth restaurant in Yorba Linda, runs Chef Adam Navidi Catering and operates Future Foods Farms in Brea, an organic aquaponic farm that comprises 25 acres and several greenhouses. Navidi’s road to farming was shaped by one of his mentors, the late legendary chef Jean-Louis Palladin. Aaron Flora has worked on creating farms with Renewable Farms for years, but he just recently embarked on his biggest project to date, with the help of a Kickstarter campaign: a mega-aquaponics farm for the city of Anaheim, California that will double as a community training center. Mike Lott is not your run of the mill farmer. 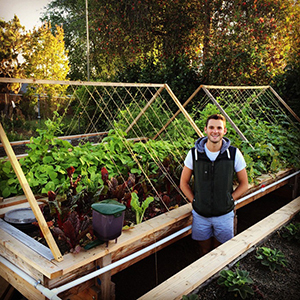 Not long ago, before making the decision to embark on a career in farming and launch his aquaponic and urban agriculture venture, Urban Food Works in Murietta, CA, Lott was a professional golfer. 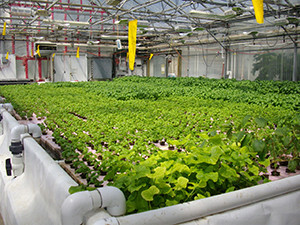 Two years ago Claude Galipeault approached Georgia’s Armstrong State University Biology Department head Matthew Draud with a novel research idea: testing the economic sustainability of aquaponics. Draud’s curiosity was piqued and he decided to visit Galipeault to check out his aquaponic system, which he had constructed in his basement. Hydroponic organic lettuce from Alaska Natural Organics (ANO) Vertical Farm. Photo Courtesy of ANO. 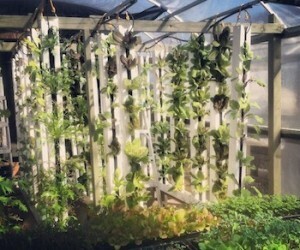 The idea for Anchorage, Alaska-based hydroponic vertical farm Alaska Natural Organics was conceived when Jason Smith was working as a surveyor in the Frontier state. Smith and his wife had recently become interested in becoming healthier due to family health issues. “We just became a little bit more aware of what we were putting in our bodies; reading more about it. And in this process we started trying to eat healthier,” he says. The couple tried to buy organic produce of all types whenever possible.